Head on over to The Un Mom (when you're done here, of course) and link up or find some other random. I was a little apprehensive about my post yesterday. Do you ever post something and then wonder if you should un-link it from twitterfeed or networked blogs. I don't mind posting about my adult acne issues here, but do I really want all my relatives and high school friends reading about it? I actually came away from it better off as several people commented that they had the same issues. Looks like I'll be the guinea pig for the group. I'm checking into different home remedies and will post which acne treatment works best. I'm trying NOT to go go to a Dermatologist. Click on that cupcake and you'll find some even more bizarre bacon stuff. What did I miss? I see bacon everywhere I just missed the how and why of it's popularity. Anyone want to fill me in? My 3 year old was using the bathroom yesterday and decided to tell me that sometimes she has spikey poop and it pokes her on the way out. She wanted answers as to why this happens. I couldn't stop laughing long enough to give her one. She asked me to leave her alone. 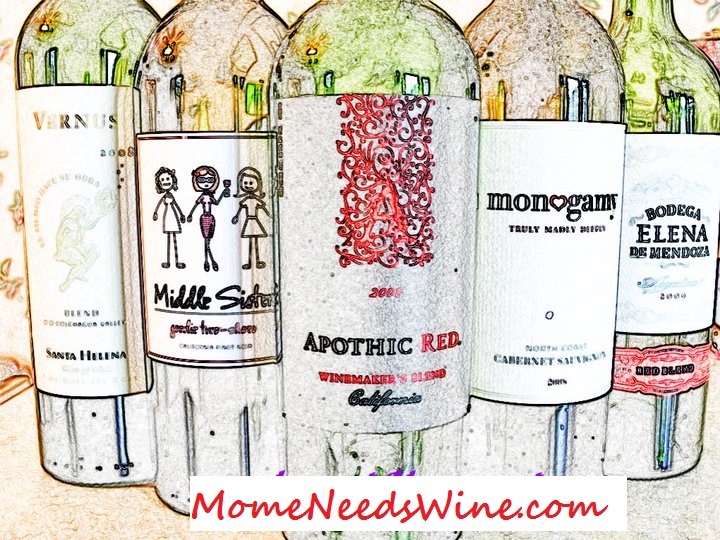 I joined a new blogger group. Jen from Redhead Ranting started Tribal Blogs and all the cool people are signing up. It's only been live for a week or so but I've already gotten help on tagging photos. I think this group is going to be fun and a great resource. Check it out. That's all the random I've got this Tuesday. Now go and check out the others. I talked about poop once and someone directed me to the site about poop. I can't remember where it is but you could ask the Google. It explained all the different poops and the whys behind them. I missed the memo about bacon too. Not my favorite but I don't hate it either. Thanks for giving some love to Tribal Blogs! I LOVE bacon! Almost as much as cupcakes! So now, you're telling me that I'm hip and cool because bacon is "in?" How awesome! Bacon… Yum! I think bacon is one of those smells that everybody seems to like. I have even heard that vegetarians like the smell (though don't ask them to eat it). 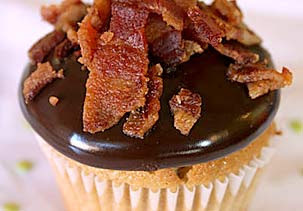 bacon on a cupcake??? what is that??? seriously people! stop baconizing everything! mmm now i feel like eating a cupcake.. darn it!